18 carat gold (kt) white and pink gold: 12,90 grams (gr). 15 white diamonds, brilliant cut: carat 0.79 (ct) (G color VVs clarity). 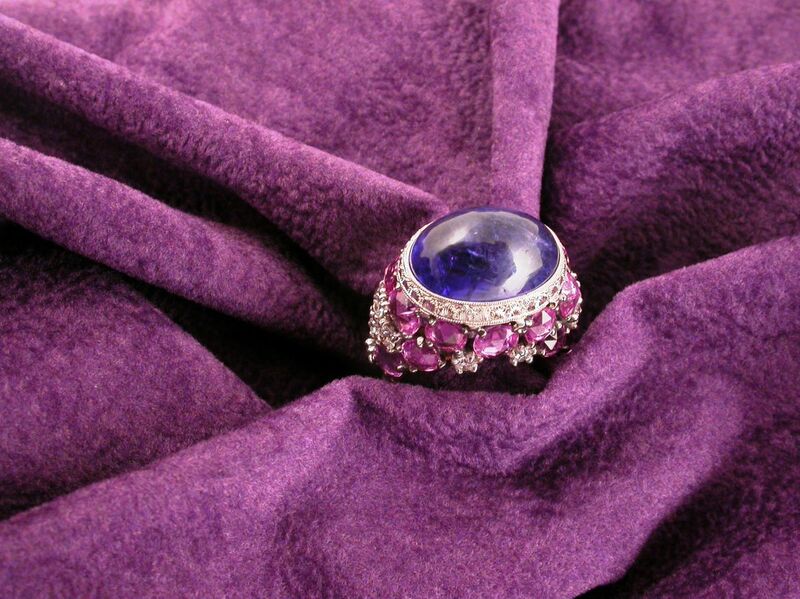 18 pink sapphires, rosè cut: carat 6.75 (ct). 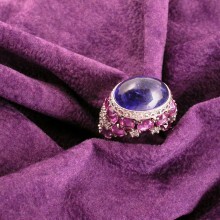 1 tanzanite, cabochon cut: 19.55 carat (ct) (size: 16 mm X 12 mm). Size: 7 inchees (usa) | 15 mm (Italy). Codex: OAOM.